CIB World Building Congress 2019 CIB WBC 2019 will be held in Hong Kong from 17 to 21 June 2019. The Congress is jointly hosted by the International Council for Research and Innovation in Building and Construction CIB and the Hong Kong Polytechnic University’s Department of Building and Real Estate BRE. The CIB WBC is regarded as the leading construction research and innovation conference worldwide. BRE has a multi-disciplinary team of faculty members who possess expertise in the respective fields of surveying, engineering, town planning, building technology, real estate, finance, law and economics. Led by the theme ‘Constructing Smart Cities’, the CIB WBC 2019 will provide a platform to explore the smart city development and its role in society. This triennial congress will focus on 8 sub-themes: •	Smart Utilities and Facilities Management •	Smart Governance, Policy and Economy •	Smart Environment •	Smart Service •	Smart Buildings and Infrastructure •	Smart Transportation and Mobility •	Smart People and Living •	Smart Planning, Design and Construction Building and construction industry specialists, researchers, and policymakers will convene here for the 5-day World Building Congress. Local, regional and internationally renowned industry specialists will deliver keynote talks, case studies and dynamic presentations to reveal the latest smart building, construction and infrastructure trends, practices and developments. RF - 459th International Conference on Management, Economics & Social Science - ICMESS 2019It will be held during 24th Jul 2019 at Hong Kong , Hong Kong , Hong Kong organized by Researchfora The aim of the conference is to provide the platform for Students, Researchers and Academicians to share the knowledge and ideas in the recent trends in the field of Management, Economics & Social Science. The IConMAME 2019 conference aims to bring together academics from around the world to report on their various research work related to multilingual acquisition and multilingual education. 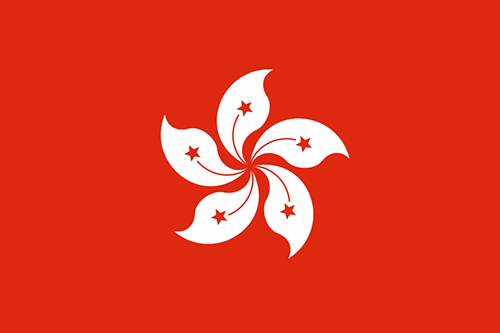 As multilingualism is gaining momentum in this globalised world, especially in the Asian context, we hope that through the IConMAME 2019 conference we can promote Hong Kong as a hub for academic exchanges and collaborations in the area of multilingual acquisition and multilingual education. RF - 430th International Conference on Science, Engineering & Technology - ICSET 2019It will be held during 09th Jun 2019 at Hong Kong , Hong Kong , Hong Kong organized by Researchfora The aim of the conference is to provide the platform for Students, Engineers, Scientists, Researchers and Academicians to share the knowledge and ideas in the recent trends in the field of Science, Engineering & Technology. 2019 IIER 632nd International Conference on Science, Innovation and Management ICSIM will be held in Hong Kong during 24th - 25th May, 2019, as the Conference of ICSIM-2019. ICSIM 2019 is sponsored by International Institute of Engineers and Researchers IIER. It aims to be one of the leading international conferences for presenting novel and fundamental advances in the fields of Science, Innovation and Management. It also serves to foster communication among researchers and practitioners working in a wide variety of scientific areas with a common interest in improving Science, Innovation and Management related techniques. 2019 IIER 645th International Conference on Natural Science and Environment ICNSE will be held in Hong Kong during 24th - 25th May, 2019 as the Conference of ICNSE-2019. ICNSE 2019 is sponsored by International Institute of Engineers and Researchers IIER. It aims to be one of the leading international conferences for presenting novel and fundamental advances in the fields of Natural Science and Environment. It also serves to foster communication among researchers and practitioners working in a wide variety of scientific areas with a common interest in improving Natural Science and Environment related techniques. Hong Kong a young population with an economy on the move, transforming rapidly into a modern nation, needs a platform to plan and to translate those plans into reality. Today with a larger investments in science, research and developments which can intercept the growing necessity of modernization in social, health, security, scientific and economic sectors, need to have platforms like conferences, seminars , workshops n other related events which can throw light on different areas.